Belgium 1851: 10 C brown with watermark 2, used with numeral cancellation "64" and enormous margins with portions of five adjoining stamps, extremely fine. 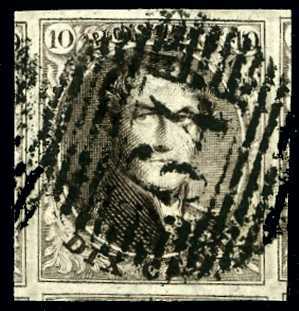 A most unusual stamp. rare in this quality.